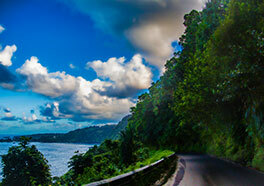 Hana Road (technically Hana Highway) is located along side the Hana Coast on the beautiful island of Maui, Hawaii (USA). 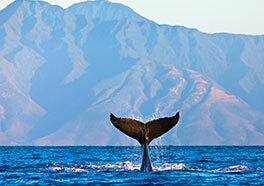 That is on the eastern part of Maui between the communities of Kahului and Hana. There are about 52 miles between the two towns. This does not seem too bad but take into consideration that there are about 620 curves on the road and 59 bridges! It can be still be a fun and wonderful drive especially because there are many areas where you can stop and visit (waterfalls, swimming holes, and more). But you need to prepare for the drive; have food, water, change of clothes, bathing suits, etc. Count on between 2 and 4 hours of driving. This is possibly the most beautiful scenic route in the world. 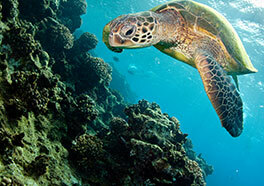 On one side, you have the Pacific Ocean with various terrain from black sandy beaches to rocky shore. 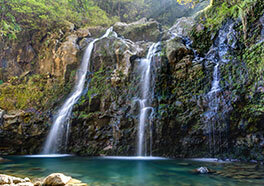 On the other side is a tropical rain forest with fauna and flora including waterfalls. The images on the right side of this page are views you will see when going to Hana. Fun Fact: Hana Road was made a National Register of Historic Place on June of 2001. - Mile 10 - Garden of Eden and Botanical Arboretum. You may remember the opening scene of Jurassic Park. Yep it was filmed there. Along the way, you may see some side road merchants selling fresh fruit from their land but this can be sporadic so make sure you food and water with you. 1) You will be spending more time outdoor so you do not need as much home/interior space. 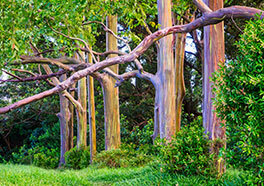 Outdoor space is why you are buying on Maui. Even if you can only afford a small lot, there are numerous places to walk or drive to, beaches, mountain trails, and more. 2) Your home or land in Maui will most likely gain value over time as the amount of land is limited being an island (in comparison to other markets). 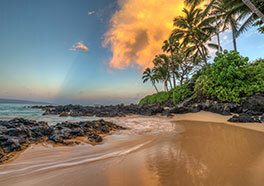 And, yes, Maui is a dream location for many around the world. If you are lucky enough to have been there, you know why. 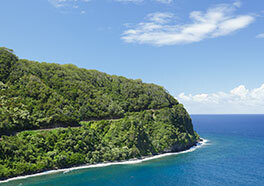 If you want more land, privacy, and vegetation, you will have to drive closer to Hana Town. The lots tend to be large and the forest more luscious. Remember that, even though the drive may seem long, if you plan to vacation or live there, you won't be going to the airport often! So driving 1 1/2 hour to get to your place on the first day won't be an issue. The most important thing when buying vacant land is not view. It is access to drinking water and road access. If you are lucky, the lot you are are interested in may already have a water meter. If not, you may also consider a water catchment system since that side of Maui receives higher rain precipitation than the rest of the island. Some people owning property along Hana Road use both. You want to make sure you can build on the land and what type of building you can build. Your real estate agent should be able to help you gain this information prior to your purchase. View of either the ocean or the mountains is of course something to seek. This comes with a premium but, if this is your life long dream, it is worth it. For home construction, you can budget about $250 per square foot to build (general numbers for 2016-17 new construction on Hana Road). They come in all styles, sizes, conditions, and price. But, again, this is Hawaii (Maui especially!) so expect to pay a premium when buying. 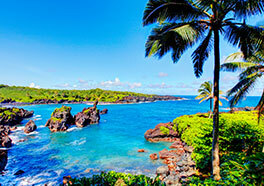 Before you visit Hana Road to find real estate, have a plan. If you just go there without any preparation, you may buy something that is either too expensive or not the right fit just because the island is so beautiful, you may loose your common sense. Plan a budget, write down the top 5 items that need to be there to qualify as a prospective home (view, road access, water, etc.) and the top 10 wish list items. If you need a referral to a local Maui real estate agent who is experienced with the real estate along side Hana Road, simply contact us here and we will be happy to provide licensed agents' information.